February 28, 2018 -- GE Healthcare has launched a new ultrasound system at ECR 2018 in Vienna that incorporates similar artificial intelligence (AI) technology used in 3D video gaming and driverless cars to reconstruct data more quickly. The AI technology is part of Logiq E10's cSound Architecture platform, which acquires and reconstructs data in a similar way to an MRI or CT system, allowing for 48 times the data throughput and 10 times the processing power of previous systems, according to GE. Logiq E10 also eliminates the need for focal zones, since the entire image is always in focus throughout the exam. The device features GE's Photo Assistant app, which allows users to photograph relevant anatomy and include the photos with the clinical images sent to the radiologist, and a tool called remote clinical application, which allows radiologists to manipulate the ultrasound's settings with a remote control on their tablet or smart phone. It is connected to the cloud via Trice Imaging's Tricefy, which adds cloud-based image sharing, remote viewing, and archiving and electronic health record integration, the company said. In other GE news, the company highlighted results presented at the meeting from a project conducted by Radiomed, a private radiology practice with nine locations across West and Central Germany, which combined digital tools with MRI technology to reduce exam wait times. In February 2016, project lead Dr. Christopher Ahlers partnered with GE to analyze data from Radiomed's seven MRI systems in an attempt to improve workflow and protocols. The project resulted in a 30% increase in the practice's productivity, boosting MRI scans from 120 per week to 170 per week, and a significant decrease in patient wait times, which dropped from six to eight weeks to one to two weeks. Ahlers plans to pilot a similar program for CT later this year, according to the firm. GE Healthcare is continuing its partnership with Endra Life Sciences to develop Endra's Thermo Acoustic Enhanced Ultrasound (TAEUS) system. GE Healthcare has developed new software for the Olympic Winter Games designed to manage the medical care of athletes. 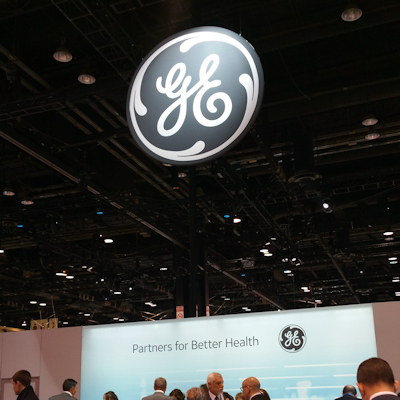 A strong performance at GE Healthcare was one of the few bright spots in parent company General Electric's financial report for the 2017 calendar year.